It's been a few years since I last did any backpacking in Rocky Mountain National Park. It's one of my favorite places, so I was looking forward to going back. This year my wife Kelly and I did some backpacking in Glacier Gorge with a couple of friends, Jay and Mike, and we had a great time hiking, laughing and taking photos. 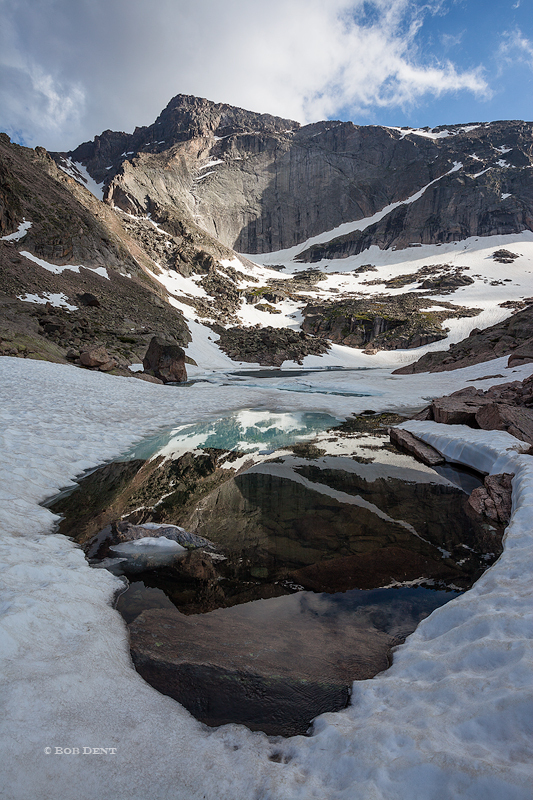 We hiked back in to Frozen Lake, which lives up to it\'s name even well into summer. Then she and I also spent some time in the Loch Vale area, enjoying the beautiful lakes and waterfalls that lead back to Sky Pond. These photos are my favorites from our time there in one of the most beautiful national parks. 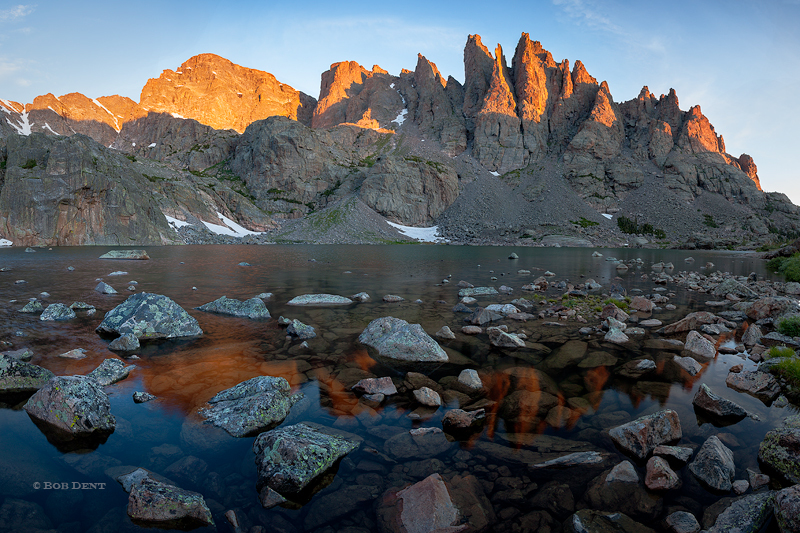 An expansive view of Sky Pond at sunrise. Photo © copyright by Bob Dent. 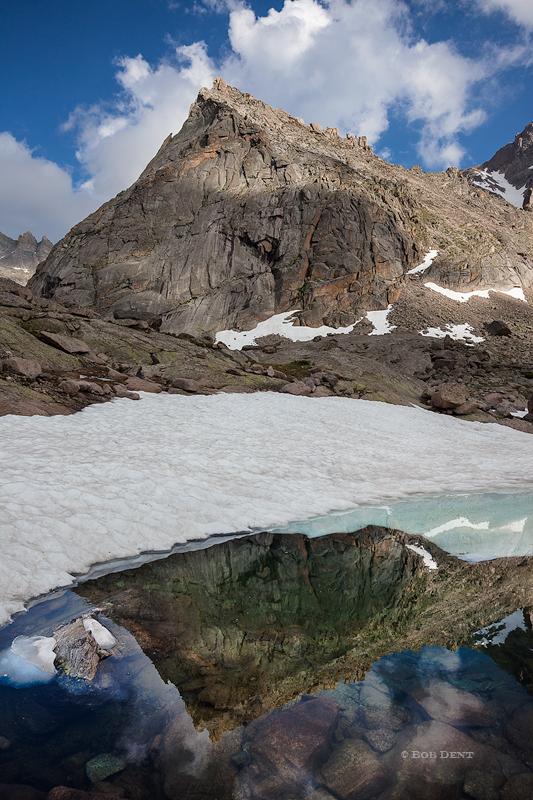 The summer thaw comes slowly at Frozen Lake. Photo © copyright by Bob Dent. The Spearhead reflecting in Frozen Lake. Photo © copyright by Bob Dent. 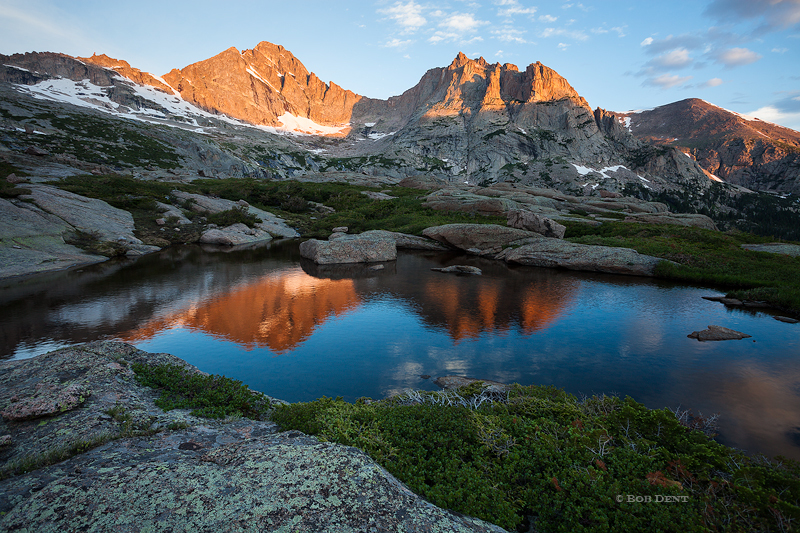 McHenry's Peak and Arrowhead reflecting in an alpine pool at sunrise. Photo © copyright by Bob Dent.